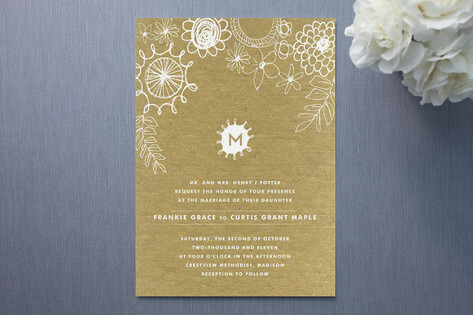 Knobbly Blooms floral wedding invitations from Minted are a marvelous choice for your gala. A stunningly rich design of hand-sketched flowers on a textured background give these wedding invitations a fun and whimsical look. Available in the following colors : Kraft (shown) and Saffron.